Have you been using the law of attraction to attract love, without success? Is there a special someone that you want to attract into your life? Maybe it’s an ex partner, or someone that you have known for a long time? Why isn’t the law of attraction for love working? Is it even possible to attract a specific person? 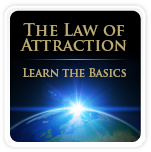 Can you attract a specific person by using the Law of Attraction for LOVE? Yes! Attracting a specific person is possible. However, there are some things you need to know first, in order to use the law of attraction to attract a specific person. Maybe you have already applied some of the law of attraction exercises – affirmations, visualizations, mindfulness, law of attraction meditation etc. – that are said to speed up manifestations? Well, in that case it’s more than fair to wonder why things are not going your way. Let’s find out – step by step – why the law of attraction isn’t bringing you the manifestation of a specific lover that you dream about. It’s time to learn to apply the law of attraction for love successfully, and turn the ship around! Using the law of attraction to find love, isn’t really that difficult. You just have to pay attention to some basic rules of this powerful law. This 10 step law of attraction love process to attract a specific person, will help you find what you really are looking for – your soul mate! If you have had many bad or destructive relationships it’s easy to think that ”they are all the same”. Have you been saying things like: ”I don’t ever want a person like that ”, and then found yourself attracting just that, over and over again? This is not entirely a bad thing, because for every experience, you become more aware of what you don’t want, and at the same time you become more clear of what you do want. However, the problem is that as you get stuck in the things that you don’t want – and play the scenario in your head of what went wrong in your relationships, and talk about it with friends etc. – you will attract more of that, according to the law of attraction for love. However, there is a good side to this – it shows that the law of attraction actually works! You made it happen! You attracted the things that you focused on! You made the law of attraction work against you, so now you can make it work for you! At first, it may not be something that you want to hear, but never the less, it shows you that you are not a victim. The truth is just the opposite; you have the ability to control the outcome. Attracting a specific person is possible, if you are aware of what needs to be done. In order to get what you want, talk and think only about the things that you want more of. Using the law of attraction to attract a specific person is about focusing only on things you want to attract. When you talk to friends about bad relationships, or find faults in others, and comment what they are doing wrong in their relationships, you only keep yourself away from attracting a happy relationship. Focus only on things that are working in your relationships, and visualize all the wonderful things that you want to manifest. Also, if you want to be using the law of attraction to attract a specific person, focus only on things that feel good. So if you have doubts about being able to attract a specific person, then you are sending out mixed signals that are messing up your point of attraction. Then it’s better to be focusing on something else that makes you feel good. Your dream is vibrating on a very high frequency and your vibration needs to be up to speed with what you are wanting, according to the law of attraction for love. Using the law of attraction to attract a specific person is about being honest with yourself. 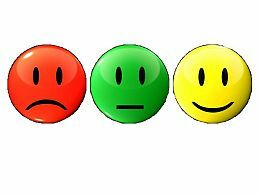 How do you feel when you look at happy couples. For example, when you hear good news about someone getting married, do you get in a defensive mode and try to find things that may go wrong, or do you feel ease and happiness? 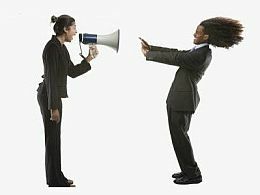 If you have had bad experiences with relationships in the past, it is common to assume that it will go bad for others as well. But every person has their point of attraction depending on what they think and feel about relationships, and their vibration is not the same as yours. Also, what you have attracted in the past has nothing to do with your future. What you are doing right now in this moment, will define your future. If you want to attract a specific person, start focusing on the positive aspects in every relationship. There is always something good to find everywhere, and it’s up to you if you want to see it or not. Using the law of attraction to attract a specific person, is about paying attention to what’s actually working in your relationships right now. As you do so, your vibration will change, and so will your love life. Attracting a specific person can be very frustrating at times. If you really really want to attract a specific person in to your life, and you want this person so much that it hurts, you are probably focusing on the things that are keeping you apart. Often, when we want something really really badly, we tend to think about the lack of it; of not having the perfect relationship. We believe that we are offering a positive signal, but we are doing just the opposite. We tend to amplify our inner resistance instead. Pay attention to your emotions. If it feels a bit off when you focus on a specific person that you wish to attract, or on relationships in general, then focus on something else instead. This is a very helpful law of attraction ”love tip”: when nothing seems to be working out in your love life, go general and appreciate the things that actually work in your life. If something doesn’t work out, you need to do something else. Obviously, your attention on relationships hasn’t led you to where you want to be, so in order to change things around, you need to focus on something else instead for a while. If you can’t feel good while looking at happy couples, then look at something entirely different. The most important thing to remember, if you want to be using the law of attraction to attract a specific person, is to feel good. 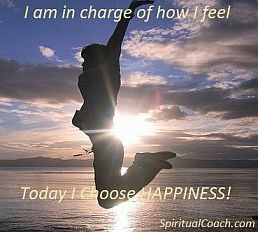 Let your dominant intention be to deliberately choose a thought that feels good and to do things that makes you happy! Focus on the things that are working in your life right now. Enjoy the wonders in nature that surrounds you. Appreciate all the wonderful things that you already have in your life. Appreciate the fact that you are free and able to go for a walk everyday, and that you can eat healthy and delicious foods every day etc. 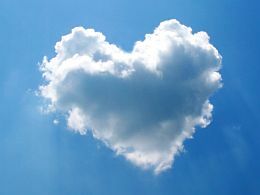 A great law of attraction “love tip” that really works, is to make a list of things to appreciate. If you do this every night before you go to bed, you will raise your vibration, and you will also enjoy your sleep even more! When you wake up the following day, don’t rush out of bed. Stay an extra minute in bed and affirm how wonderful your day will be. This will automatically make you feel good and raise your vibration. You will create a better outcome for your day and things will get better and better. You will gradually feel better about yourself and life in general, and soon you will be able to observe romantic couples and feel great! Also, if you want to be using the law of attraction to attract a specific person, focus only on this person as long as it feels good. As soon as you are beginning to feel worry or doubt, focus on something else that makes you feel optimistic and positive. If you want the law of attraction for love to work, your dominant intention should always be to make yourself happy! Have you done your best to stay happy with positive affirmations in order to attract a specific person? Perhaps you have made a beautiful vision board with you and your soul mate, spending time in romantic settings, or maybe you have been meditating and visualizing your life together rigorously everyday for 15 minutes – but without any results? If nothing has happened yet in the romantic area of your life, it’s no wonder that you are getting frustrated, and wonder what you are doing wrong. When you want to attract a specific person so much that it hurts, you want it too much. You must feel ease in order to attract true love. If you feel worried or doubtful while you are visualizing yourself with that specific person, then you are sending mixed signals to the universe. Using the law of attraction to attract a specific person, is about finding a feeling of relief by choosing something else to focus on that will raise your vibration. If you are getting tired of trying to make things happen, it’s actually a good sign. You are now beginning to understand an important thing in this whole creation process. The reason why it feels off when you are trying to make things happen, is because it is! Always, listen to your feelings. They are always guiding you and letting you know if you are on the right path or not. When you are trying too hard, and struggle to make things happen, you feel bad and increase your inner resistance. It’s like you are building a wall between you and the things you want. So, when you are trying too hard, you are actually keeping away the things that you wish to attract. Law of attraction always responds to your emotion/vibration, and in order to let the good things in, you need to feel ease. In other words, you don’t have to take any ”action” to attract a specific person in to your life. Using the law of attraction to attract a specific person is not complicated at all. The only thing that you have to in order for it to manifest, is to relax. The purpose of using affirmations, visualization and meditation techniques, is to make you feel better. 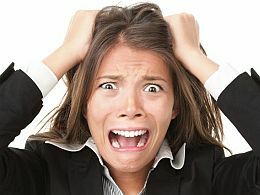 If you feel stressed, or even frustrated, as you are working on attracting a specific person, then stop doing it! It should never be work. It should always be fun. If the techniques stop being fun, then do something else. Go for a walk, sing, dance, take a bath, have a nice dinner etc. Do whatever it takes to make you feel better. Your dominant intention should always be to choose thoughts and do things that make you feel better. 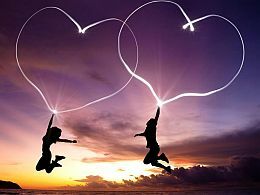 In order to attract a specific person – your soul mate – you need to vibrate on a high frequency. Do you remember what you said about your soul mate? He/she is beautiful, confident, happy, easy going, successful etc. All these wonderful qualities are on high vibrating frequencies, and this is where you also need to be. You need to raise your vibration and make yourself happy first, because ”Like attracts like” according to the law of attraction for love. Do you know what you want? Really?… Let’s say that you have dated men/women who only think of themselves and don’t care about you and your needs, and these experiences have made you realize that you actually want a partner who is kind and generous – what do you do? Do you go after the so called ”bad boys/girls” who only think of themselves, or are you attracted to kind and generous people who cares about you? If you ”ignore” what you have learned from your experience so far, your life will cause you to collect more data, and you will experience even more ”contrast” until you become clear on what you truly want. Finally when you align with your dream, you will feel great. Ask yourself, who is the specific person that you wish to attract – the one that your ego likes, or the one that your heart desires? 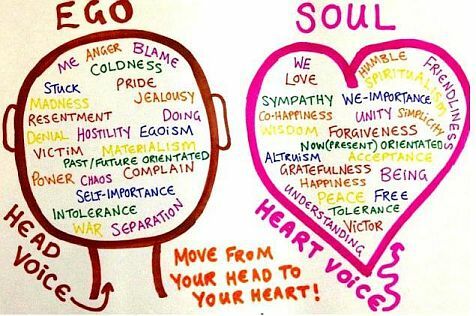 Do you follow your ego, or do you follow your heart? When you keep ignoring that inner voice, you feel bad. Law of attraction for love is about listening to that inner voice/inner wisdom/soul, or whatever you call your intuition. That inner voice always loves you and wants what’s best for you. If you keep listening to your ego, you will never be happy. Your ego is destructive and doesn’t think that you are worthy of love. Now, let’s find out if you are truly following your heart’s desire. 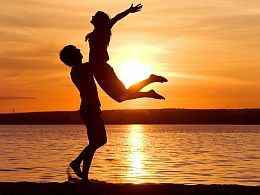 If you wish to attract a specific person in to your life, ask yourself: are you really sure that the person you want has the same wonderful qualities as your dream partner/soul mate? To answer this, take a look at your ”vision board” and notice the qualities that your dream partner has. If you haven’t done any ”vision board”, let’s do a mini-version right now. Write down the most important inner qualities that your soul mate has… Now, ask yourself if this specific person that you are interested in, have these qualities. For example, if you want a partner to be kind and considerate to your needs, then take a look at the person that you are interested in and ask yourself if he/she has been showing these qualities to you. Ask yourself honestly what you have been observing so far. If this person only thinks of him/herself, then you are ignoring your heart´s desires, and you are not aligned with your dream. Are you hoping that this person will become different in two months, or will change as soon as you get together? Do you think that this person will change for you and that you are the one who will win his/her love? If so, it sounds like you are controlled by your ego. The ego believes that you are separated/different from others, and the ego needs to be right and win. But wouldn’t you rather be happy? The ego needs to be in control, loves to argue, and is always right. This ego influenced behavior may work for a while, but not in the long run. When you try to control your life and others with “action”, you will only get mediocre and temporarily results. You will struggle to reach your results and experience lots of pain and heartbreak. But why is that? Because, when you are controlled by your ego, you have no true power. The good news is that the ego is just an old thinking pattern that you can change. You don’t have to be controlled by the ego. When you listen to your heart/intuition/soul, you always do what’s best for you. As you begin to practice mindfulness, you will start listening to your inner voice; the voice that is always looking out for you. Using the law of attraction to attract a specific person is about listening to that inner voice that will guide you to your soul mate. If you want the law of attraction for love to work successfully, you have to let go of your ego! If you are like most people, you try to control the circumstances around you. The only person you can control is you, and that’s enough. If you can control how you think and feel, you can create the life you desire. When you choose thoughts and feelings that are in alignment with your dream of having a soul mate, your dream must manifest, according to the law of attraction for love. As mentioned earlier, when you try to make things happen, and try to control circumstances and manifestations, you are actually building up a wall that is keeping you from allowing the good stuff in. You need to go with the flow and feel ease. It’s much easier than you think – all you need to do is to trust in the law of attraction and that the universe has already lined up a perfect partner that is waiting for you. If the person that you are interested in have all those wonderful qualities that you dream of, that’s great because then you know what you truly want! 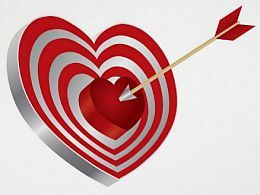 However, if you want to attract a specific person and this person has the qualities that you want, why isn’t the law of attraction for love working successfully? Because you try to control the manifestations. Let go of the need to control the circumstances, and allow the manifestation. The specific person that you wish to attract in to your life may very well have all the things that you want, but does this person want you? You want a person who wants you, and if this part is missing then he/she is not the right person for you! The universe remembers every single detail about your dream partner, and the universe certainly remembers that you want a lover who wants you! Allow yourself to be in a happy relationship with a person who adores YOU, and let the universe bring this to you. Using the law of attraction to attract a specific person, is also about allowing yourself to have everything you want – to have a person who loves you. What you resist, persists. When you focus on the things that you don’t want in your relationships, and try to avoid it by pushing against it – with your thoughts, feelings, words etc. – you will get more of that. This effort to control things around you, blocks your flow. This inner resistance that pushes against the things you don’t want, only keeps you away from the things you want. You can never control circumstances around you with your action, only with your vibration. Your vibration is your point of attraction. So, when you stop trying to control the uncontrollable, you release your resistance, and open up to the flow in life, and allow the law of attraction for love to work successfully. When you feel more ease, things will start to change. Have you ever considered that the specific person that you wish to attract maybe isn’t the right person for you? Could you accept this possibility? If you are not open to whatever the law of attraction will bring you, then it’s an indicator that you are trying to control the manifestation. The universe always answers to whatever you wish for, and knows every single detail about your dream partner. So, trust that the law of attraction will bring it to you. When you go out on dates, or are in a romantic relationship, or observe other couples, you learn new things about what you want and don’t want in a relationship. The universe “hears” your new preference and answers immediately. The universe orchestrates circumstances and makes it possible for you to attract a specific person who is your soul mate, in perfect timing. You don’t have to do anything to make it happen, because it is already done! All you need to do is allow yourself to receive, and you do that by relaxing, making yourself happy, and by focusing only on what you want. For every experience, you become more clear on what you want, but as time goes by we seem to ”forget” and repeat the same kind of ”mistakes” over and over again. We ignore our inner voice and follow our destructive ego instead; our old thinking habit. However, the universe doesn’t forget and is ready to deliver to you a person that has ALL the qualities that you have been asking for! The universe has been taking notes and remembers every single detail from your dates, previous relationships, or from what you have been observing in other couples etc., and knows what you now prefer. The universe remembers everything that you have ever wanted, and has the perfect match for you. But the question is, are you ready to letting it in? The best affirmations to attract a specific person are the ones that are giving you a feeling of relief. Affirm to yourself that what you are wanting is coming. If you want to use the law of attraction for love successfully, then say to yourself that you don’t have to do anything to make your dream come true. If you can’t attract this specific person, there will be another one just like this person, or one that is even better for you! Everything that you wish for in a partner has already been created by the universe. It is done! It is done! It is done! In order to ”access” this creation, you need to be a match to your dream. Your thoughts and feelings must vibrate on the same frequency as your dream. 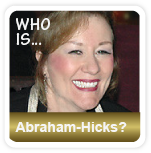 So how do you know if you are a vibrational match to your dream? By listening to your feelings. If you feel negative emotions such as frustration, anger, despair, sadness etc., you are not aligned with your dream relationship, and thus it can’t manifest. If you don’t think, talk and act in accordance with what you now know is true for you, you feel bad. If you are not up to speed with your true beliefs and who you have become, you can’t manifest your dream partner, according to law of attraction for love. As you know, everything is vibration, including you. Every thought and feeling is a vibration. You have probably also heard that happy thoughts vibrate on a higher frequency, than sad thoughts. So, in the moment that you come to a new understanding on what you now prefer, you ”grow” in more than one sense – you get more clear on what you want, and your vibrational extended part of you becomes that. It now vibrates at a high frequency, and you in your physical form – with your thoughts and feelings – must be aligned with that dream in order for it to manifest. Using the law of attraction to attract a specific person is about becoming a vibrational match to your dream. If you are not a match to your dream – in your thoughts and feelings – you feel bad. You feel bad because you recognize the gap between who you allow yourself to be in your physical life, and who you have become vibrationally (after all the dating experiences). If you want the law of attraction for love to work, you need to close that gap! What you think and feel means everything, because your vibration is your point of attraction, according to the law of attraction. Your emotions are always letting you know if you are being true to yourself or not. They are always telling you if you are on the right path, and letting you know if the specific person that you wish to attract is right for you – or not. If you feel bad, you are not allowing your true self to flow. In order to attract a specific person, you need to be a deliberate creator by paying attention to your thoughts and feelings. Choose a thought that feels better, and then another one that feels even better etc. If you want the law of attraction for love to work successfully, it’s important to let go of any inner resistance and feel ease. As you keep doing this deliberately, you will raise your vibration and become a match to your dream partner, and now it MUST manifest! This is the LAW! Using the law of attraction to attract a specific person, is about deliberately choosing thoughts and feelings to become a vibrational match to your soul mate. If you want to apply the law of attraction for love successfully, release your inner resistance! Don’t try to control the manifestation, because when you try to control anything, you block the creative energy from flowing, and thus blocking yourself from attracting your dream partner. Using the law of attraction for love, is about trusting the law of attraction, and allowing the manifestation of a soul mate. Let the law of attraction do the work, and you will be pleasantly surprised! It’s already done!